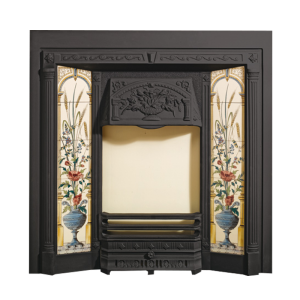 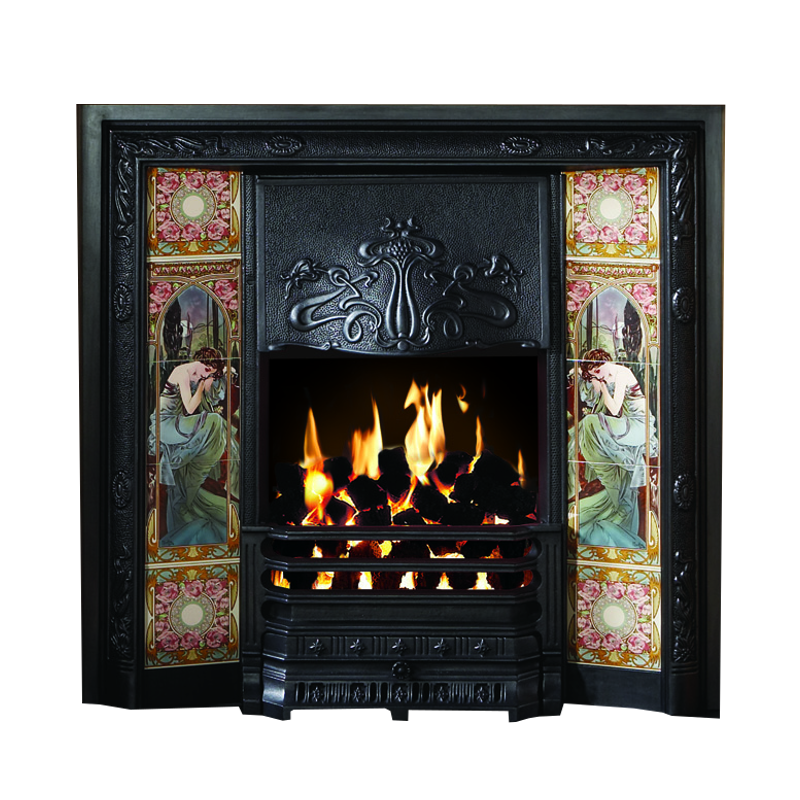 With all the exuberance of 19th Century fin de siècle style, the Stovax Art Nouveau insert fireplace captures the era’s flowing design motifs to perfection and, whether you choose a traditional matt black or highlight polished version, the colourful Alphonse Mucha tile sets or magnificent tube-lined tiles provide the definitive finish. 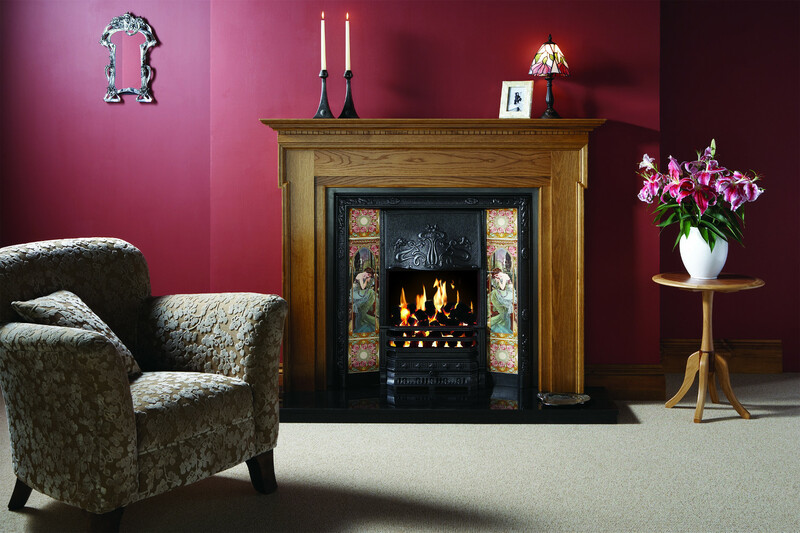 For the ultimate panache, opt for the cast brass hood which can be fitted to either model. 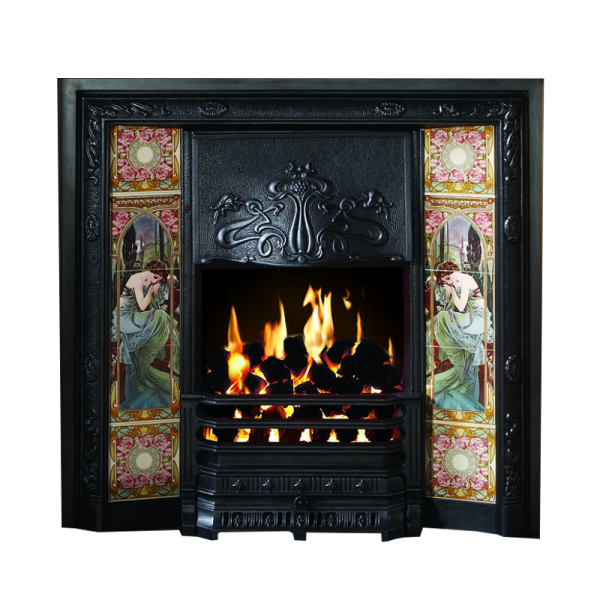 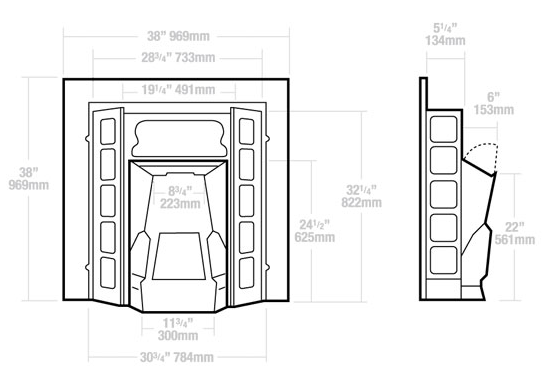 The slender vertical front bars, which were very popular on fireplaces of the period, have been retained in the setting shown left. 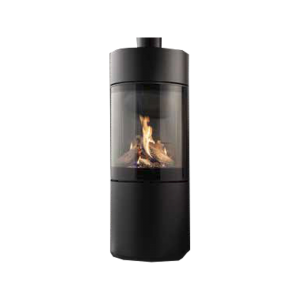 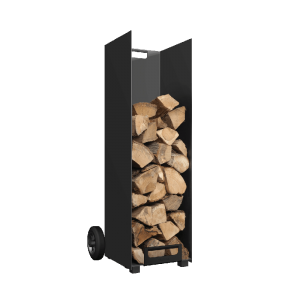 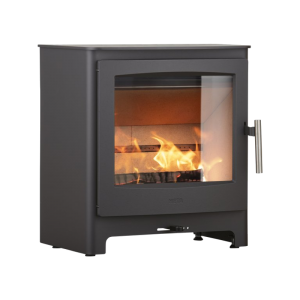 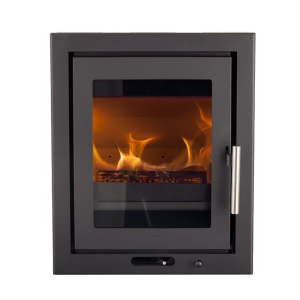 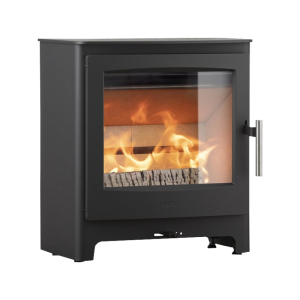 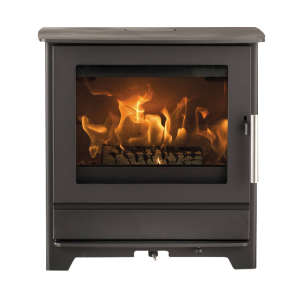 They are used with gas fires, but an alternative version (opposite) is offered with horizontal cast iron bars for better fuel and ash retention when burning logs, coal or smokeless fuel.